Is a European Federal State Feasible? The long-term goal of many senior European politicians and bureaucrats is to create a European federal state, a federation of European territories with a governmental structure similar to the USA’s: that is, a United States of Europe. Indeed, there are several lines of evidence indicating this to be the case. As Minister Schäuble evidently recognises, however, creating a European federal state will be no easy task; the people of Europe may not want all the relevant powers to be transferred from their national parliaments to Brussels. This stumbling block has not escaped the notice of another prominent Eurofederalist, President of the European Commission Jean-Claude Juncker, who in 2007 told Belgian newspaper Le Soir, “Britain is different. Of course there will be transfers of sovereignty. But would I be intelligent to draw the attention of public opinion to this fact?” One way for Eurofederalists to make the public more receptive to further transfers of sovereignty, of course, is by cultivating a Pan-European identity. And in fact, the EU has already made a number of inroads toward this objective. 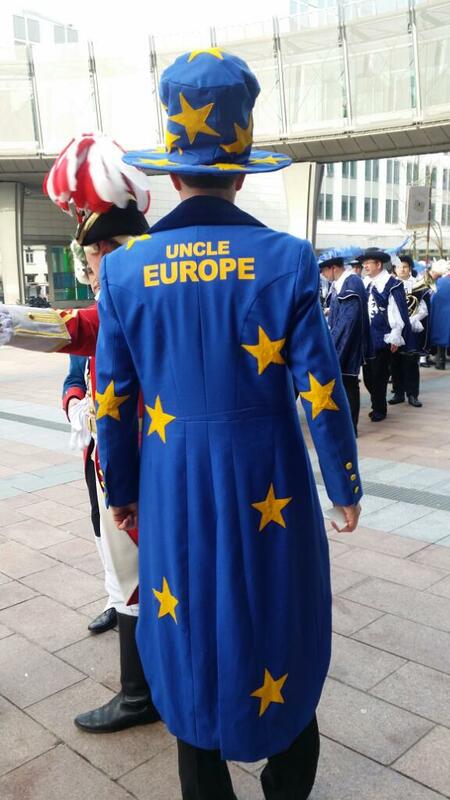 It has established a motto, an anthem, a flag, and an annual holiday; the German MEP Axel Voss has even dressed up as Uncle Europe in an obvious attempt to mimic the well-known American mascot, Uncle Sam. 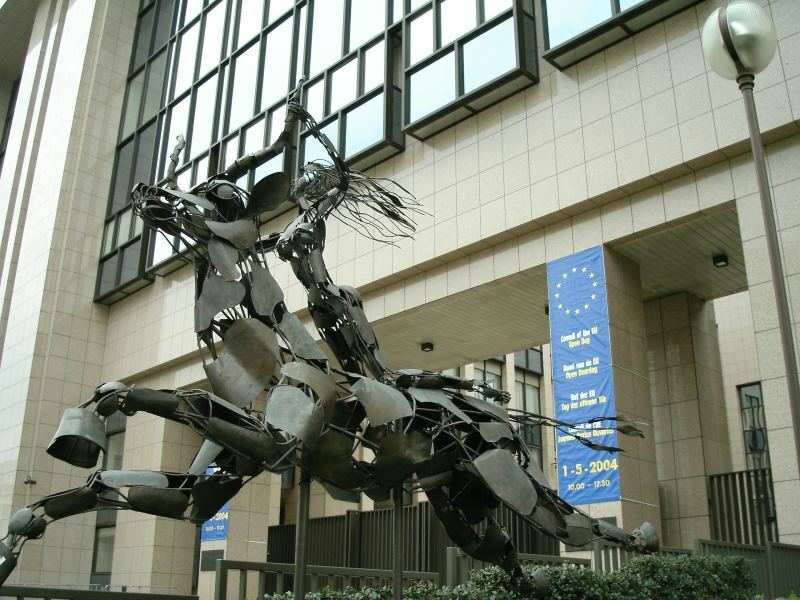 In addition, the Greek mythological figure Europa has been adopted as the personification of Europe: statues of her can be found outside important EU buildings in both Strasbourg and Brussels, and an image of her can be seen on a series of Euro banknotes from 2013. Using data from the Eurobarometer survey, I investigated what fraction of Europeans have a Pan-European identity––i.e., identify more with Europe than with their own country. In the spring 2006 wave of the survey, respondents in all 28 current EU member states were asked to give their degree of attachment to their country and to Europe as a whole. Specifically, they were asked to say whether they felt “not at all attached”, “not very attached”, “fairly attached”, or “very attached” (they were also given the option to say “don’t know” but very few did so). I recorded the proportions with fairly and very strong attachment in each member state. The first two charts (below) plot the distributions of member states by degree of attachment to one’s country and to Europe. The chart on the left plots the distribution by fairly or very strong attachment, and the chart on the right plots the distribution by very strong attachment. While attachment to Europe is appreciable, in both cases there is very little overlap between the two distributions. Europeans in 2006 were substantially more attached to their countries than to Europe as a whole. No member state’s citizens were more attached to Europe than to their own country. The average difference in fairly or very strong attachment was 31 percentage-points; the average difference in very strong attachment was 38 percentage-points. Poland had the smallest difference in fairly or very strong attachment, while Cyprus had the largest. Belgium had the smallest difference in very strong attachment, while Greece had the largest. The UK was above average on both metrics. In the autumn 2014 wave of the survey, respondents in all 28 member states were asked to say whether they identified: with their country only; with their country first, then Europe; with Europe first, then their country; or with Europe only (they were also given the option to say “none” but very few did so). The third chart (below) plots the distribution of responses in each country. Once again, Europeans identified much more strongly with their country than with Europe as a whole. The average proportion identifying with their country only or with their country first was 92%. Interestingly, the UK had the highest proportion identifying with their country only, which is consistent with other evidence that Britons have some of the least sanguine views of the EU, along with Cypriots and Greeks. The average proportion identifying with Europe first or with Europe only was 7%. These results suggest that the EU’s efforts to cultivate a Pan-European identity have not been particularly successful so far. However, it could be that Europeans identified even less strongly with Europe in the past, and the fraction with a Pan-European identity has actually increased over time. The sociologists Alina Polyakova and Neil Fligstein examine this possibility in a working paper titled ‘Is European Integration Causing Europe to Become More Nationalist? Evidence from the Recent Financial Crisis’. They find no evidence of a systematic increase in European identification since 1992; if anything, it seems to have fallen in recent years. They also find that individuals living in countries which experienced more severe economic downturns are more likely to have exclusively national self-identities. Their interpretation is that the EU’s promulgation of free trade and fiscal austerity during the crisis led individuals in the hardest-hit countries to turn away from European unity and embrace nationalism. Another possible explanation for the inefficacy of the EU’s attempts to cultivate a Pan-European identity is the accession of poorer Eastern European countries into the organisation since 2004. In particular, individuals living in Western Europe may find it harder to identify with their Eastern European counterparts, whom they may view as competitors in the labour market. Whatever the reason, the fraction of Europeans with a Pan-European identity appears to be quite small; almost certainly not large enough to support the creation of European federal state anytime soon. Written by: Noah Carl on August 14, 2015. Last revised by: Admin, our reviewer, on August 15, 2015. This entry was posted in Welfare by Noah Carl. Bookmark the permalink.